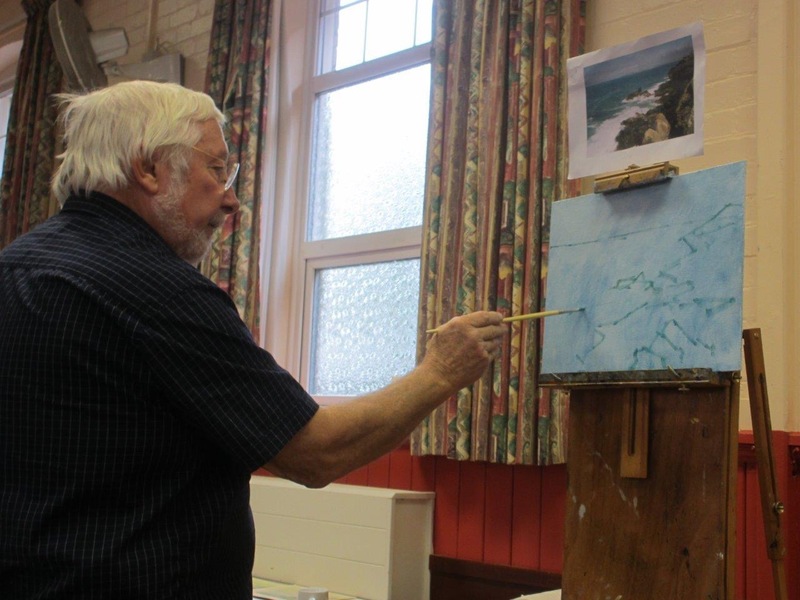 The latest demonstration at the Writtle Art Group featured artist John Shave. 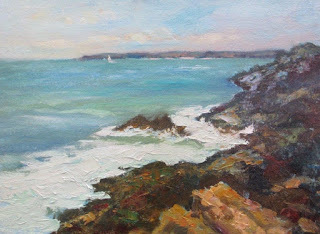 His main picture was a seascape scene near St. Ives, Cornwall, painted in oils using mixed brush and palette knife techniques. 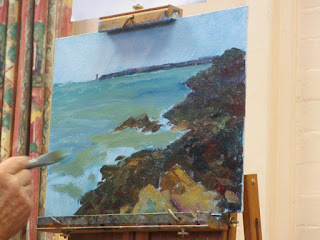 The painting used brush work for the main composition and then palette knife to bring the waves and surf to life. 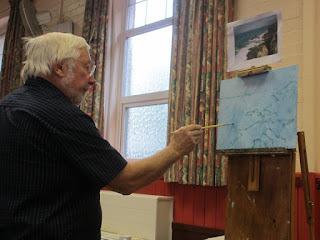 Members of the group were particularly interested in the medium he used to help smooth the flow of oil paint across the canvas board (a mix of linseed stand oil and artist's turpentine). 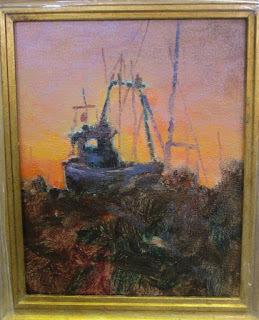 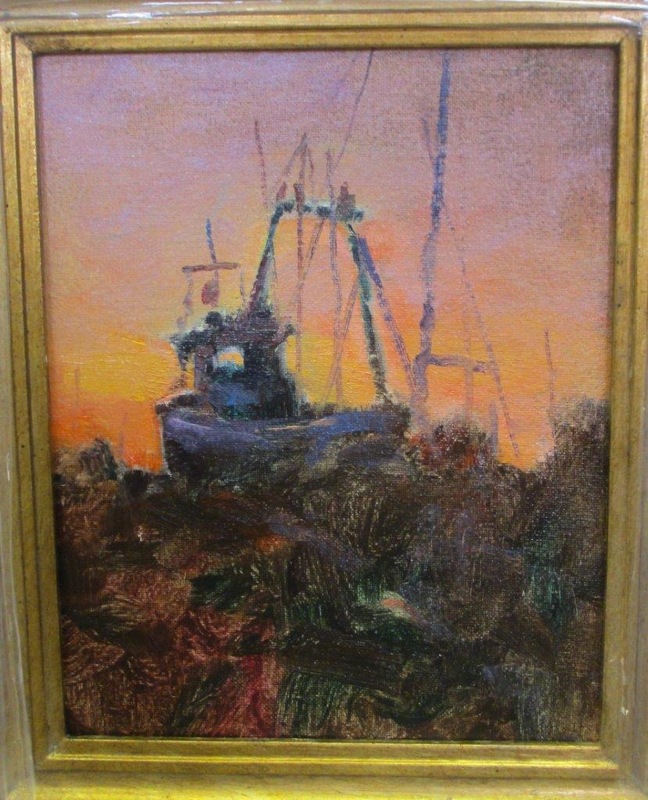 At the end of the demo John also demonstrated some negative painting with a quick oil sketch - an image of a trawler set against a sunset. 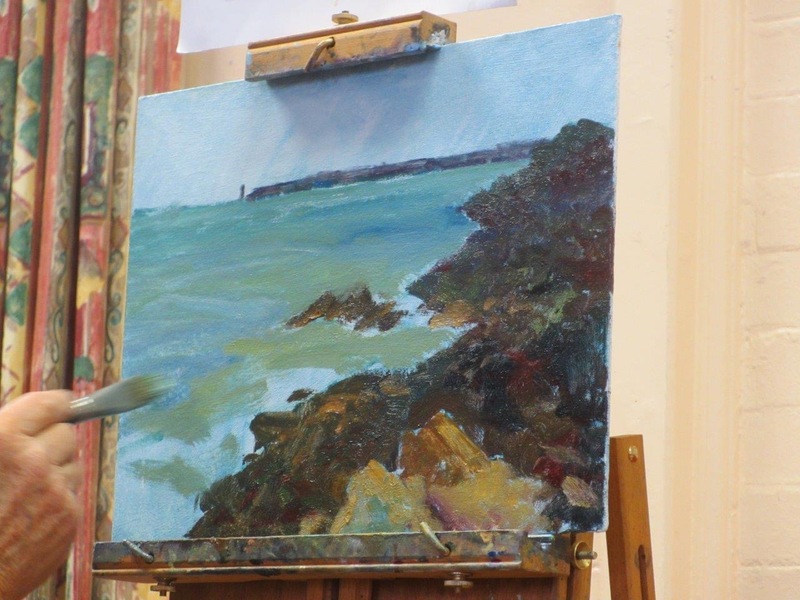 We thank John for an interesting and enjoyable morning.